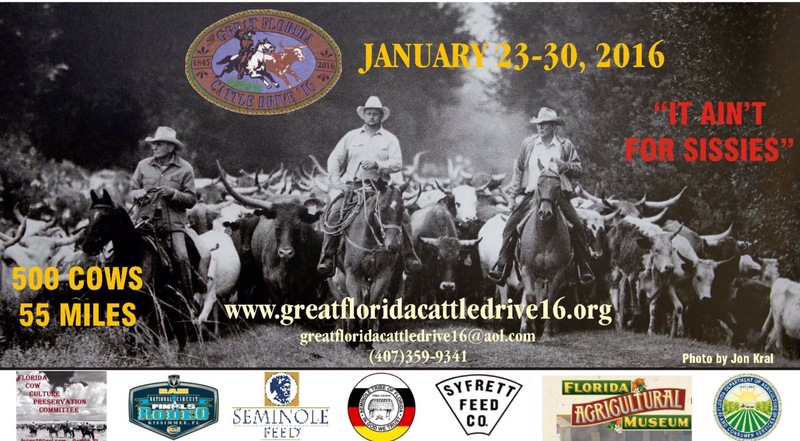 Beginning tomorrow I will repost each day’s journey on the 2016 Great Florida Cattle Drive. Chuck and I participated in it one year ago, and now they made a documentary film about the event. On Thursday evening February 23rd, WFSU in Tallahassee along with other public television stations will air this one-hour documentary entitled “The Great Florida Cattle Drive 2016”, a film by Elam and Nic Stoltzfus and their production company Live Oak Production Group. 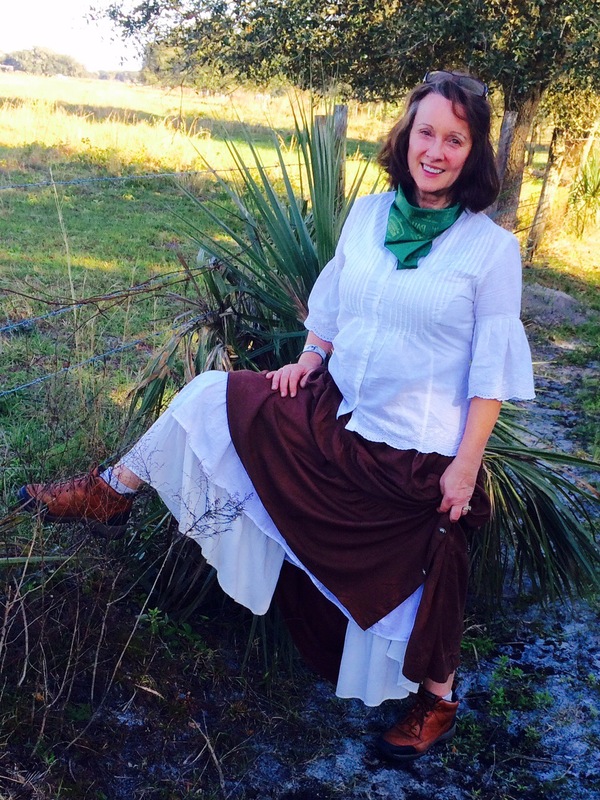 The film is about the reenactment of an 1850 Florida Cattle Drive, which was held last year in central Florida. Five hundred men and women spent a week-long journey herding cattle across central Florida, a 50-mile drive. Many were in period costumes, including myself. Chuck and I were part of that group, and I blogged daily about our experiences–the good, the bad, and the down right ugly. It was the trip of a lifetime. The blog posts begin tomorrow with the first post about training for the drive, when Chuck and I initially decided to participate. The entire series runs daily leading up to the film on February 23rd. Each post appears daily on my Facebook page. If you have not signed up to receive notices from my Facebook page, entitled Old Age Is Not For Sissies Blog, please make sure you do so today. I cannot rerun the series directly from the blog, so there will be no emailed notices. So please “Like” my Facebook page. You can use this link to go directly to my Facebook page. Come join me daily and enjoy the ride. It was a wild one to say the least, and I enjoyed sharing it.